Over a year ago Jay and I moved back to Toronto and last year we didn’t spend Christmas here but instead flew back to Vancouver to celebrate the holidays with Jay’s family (we take turns every year). And while we lived in Vancouver Christmas was either at Jay’s family’s place or at my mom’s place in Toronto so I didn’t put up a tree, in fact, we had to leave it behind when we made the move to Vancouver. 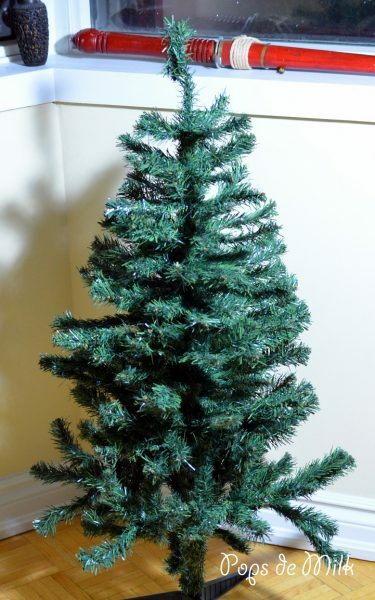 So basically I have been without a Christmas tree for three years. This Christmas it’s my family’s turn and because everyone has been in different places around the world, my mom’s place is no longer an option so…Christmas will be at our place! I’m already thinking about dinner and all the yummy food I’m going to make but more importantly, what about the Christmas tree? Earlier this year Little Sister Sue moved back from Japan and in the last few months began retrieving belongings from storage. One such item turned out to be a small (fake) Christmas tree! The sight made me happy until I realised I had no tree decorations and then I felt even more excited because I could make decorations! The first tree ornament I could think of making was a bauble. I didn’t know how many I would make or what size they would be because what if it took too long and they weren’t ready by Christmas (wouldn’t that be funny). So, in case that does actually happen I’ve been keeping my eyes peeled for things around the apartment I can potentially use to adorn the tree – this is where the Christmas Tree WIP comes in. 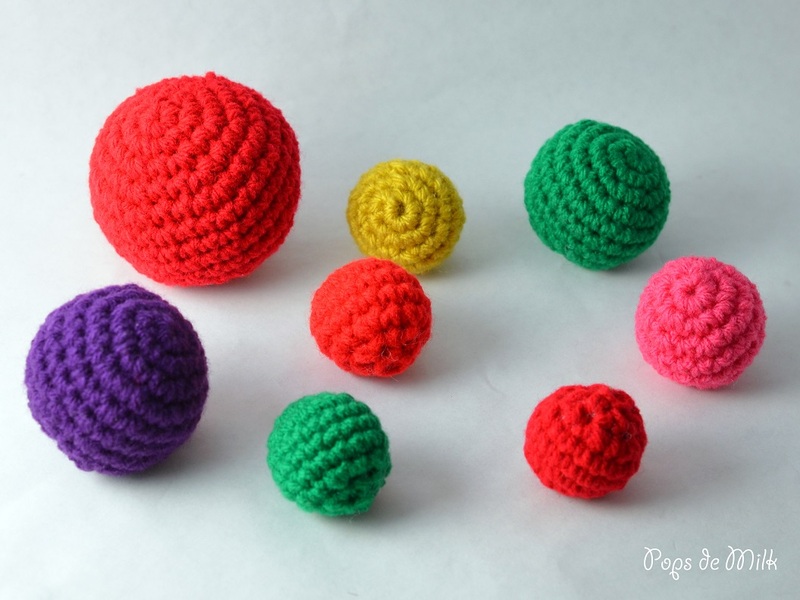 But for now, I have actually made a few baubles/balls of varying sizes. They are very easy and quick to make and you can play around with the colours to make your own unique design. Pattern is worked in continuous rounds, do not join or turn at the end of each round. 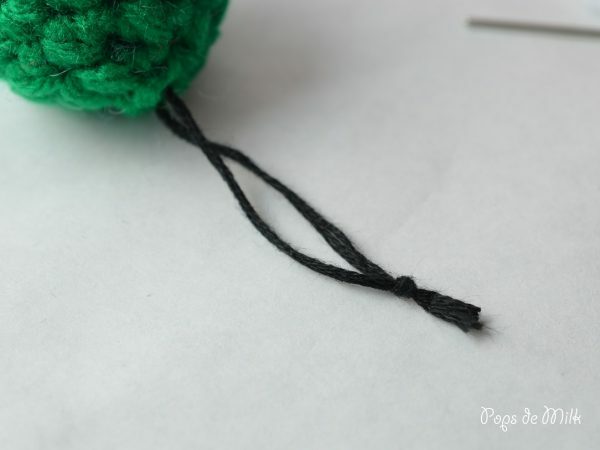 Use stitch marker to keep track of beginning/end of each round. Rounds 4 – 5: sc around. 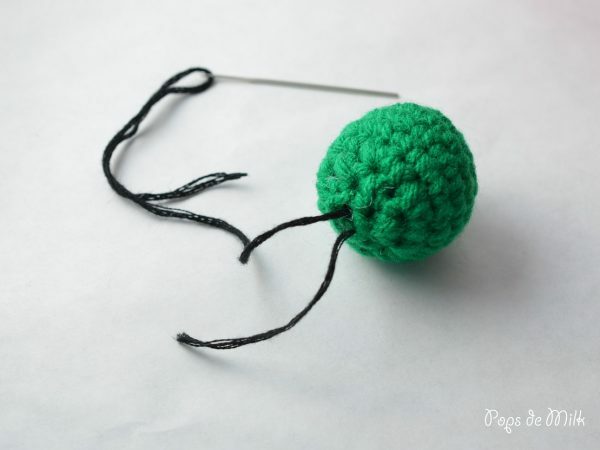 Decrease 2 or 3 more times or fasten off and use a yarn needle to sew shut. To hang the baubles on the tree I used embroidery thread by threading a loop through one end and tying a knot at the top. Easy and done! Here’s the tree, looking a little naked. 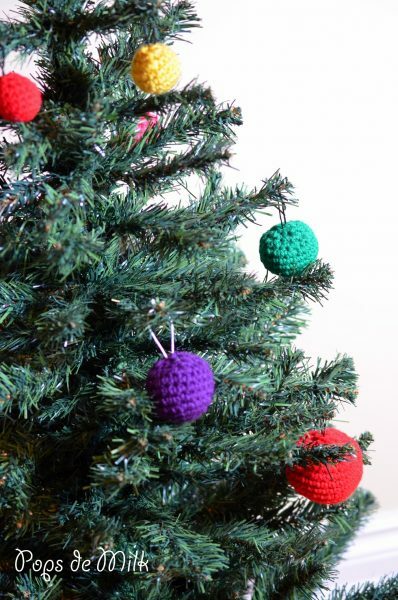 As you can see I don’t have tree lights yet – they’re on the shopping list and hopefully will be the only thing I need to buy for the tree – but these crochet Christmas baubles are a pretty good start! ⟵Crochet Christmas Tree With Buttons! Cool 🙂 I also have this, but the golden yarn.